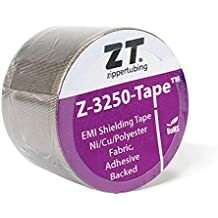 Fep 10 - Extruded Films - Jacketing - Materials - ZT | Zippertubing Co.
FEP-10 is a clear, high performance FEP Teflon® film material that is extremely chemical and temperature resistant. The product was designed to provide outstanding performance in extremely rugged and demanding environmental applications. FEP-10 offers excellent weatherability, fungus resistance, fluid and chemical resistance and outgases very little under vacuum conditions. FEP-10 is a non-flammable polymer that has an operational temperature range of -70° to 200°C. It is currently in use on many aerospace programs as well as in commercial building Plenum rated areas. Standard FEP-10 comes with an extruded FEP Teflon® Z-Track closure. It can be combined with other closure styles, although these may reduce the overall performance characteristics. 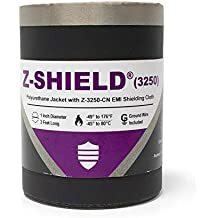 It can be configured for round, flat and rectangular cable configurations and be combined with most Zippertubing EMI Shielding materials to create a jacket that will meet the toughest EMI shielding and environmental requirements. Tear Strength 90 g/mil. min. Dissipation Factor .0003 @ 25 C @ 1000 Hz max. Volume Resistivity 1017 ohms/cm. @ 170 C min. Dielectric Constant 2.15 @ 25 C @ 1000 Hz max.